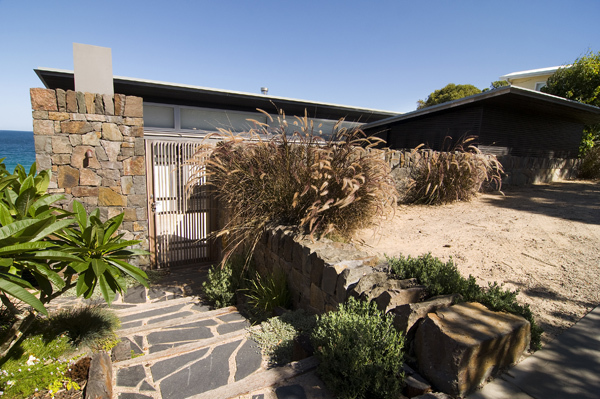 A multi award winning CaseyBrown Architecture designed dwelling on the beachfront of the coastal town of Mollymook. Stonehedge worked closely with Rob Brown and Neil Riles to create a dry stone façade on the outside of the house using methods similar to the heritage of the area. Stone was sourced further afield and hand selected, delivered to a small residential site (which had its many challenges for a team of stonemasons) and worked vigourously to produce the required finish. A truly unique style of build similar to the dry walls of Scotland complete with soldier like capping. The stone façade showing off the array of colours in the stone and tight jointing with no mortar showing. Three sides of the house were wrapped in stone to give the impression of a house sitting on a dry stone wall.